Can only the super rich save us? 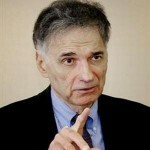 Ralph Nader talks about his latest book, ONLY THE SUPERRICH CAN SAVE US! It’s a “utopian fantasy” about a cadre of billionaires under the leadership of Warren Buffet who take on corporate America to save democracy and the planet. And neuroscientist Sue Barry talks about conquering a visual disability and training her brain to see normally. Her memoir is FIXING MY GAZE. Ralph Nader was named by Time and Life magazines as one of the 100 most influential Americans of the twentieth century. We drive safer cars, breathe better air, and work in safer environments because of his crusades to protect consumers, citizens and workers. He was the force that got Congress to mandate better car safety, including seat belts, among many other consumer protection laws. But he tells WV Host Francesca Rheannon that he could never accomplish now what he did then, because corporate control of government and media is too great: ordinary citizens don’t have the clout anymore to get their concerns addressed, whether on health care, jobs or the environment. It’s takes money, Nader says, the kind of money only the superrich have, to move the levers of power. His book, ONLY THE SUPERRICH CAN SAVE US!, is a call to action to progressive minded billionaires to leave a lasting legacy to their grandchildren: saving the planet. This past week, the Consumer Electronics Show in Las Vegas was all over the news. The biggest new thing there was 3D TV. If you’ve ever seen a film in 3D, you know how amazingly different it is from regular movies. That experience was what it was like for neuroscientist Sue Barry when, for the first time in her life, she was able to see the world in three dimensions. Born with her eyes misaligned – one eye crossed inward – her brain compensated by seeing only through the perspective of the other eye. She lacked the stereoscopic vision that gives our sight depth. Barry’s memoir, [amazon-product text=”Fixing My Gaze: A Scientists Journey Into Seeing in Three Dimensions” type=”text”]0465009131[/amazon-product], recounts how she learned she didn’t have normal vision and the remarkable path she took to get it. 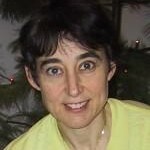 Sue Barry is professor of neurobiology at Mount Holyoke College.